Robert Kirkman made an appearance at Hawaii Comic-Con to answer a few fan questions. One such question was if there would ever be a crossover event between The Walking Dead and Fear The Walking Dead. Kirkman’s reply? We’re already on season seven and this one’s on season two and that would be crazy. As far as if those characters will ever encounter each other, I mean, they’re in the same universe so it’s completely possible. Geographically, they’re nowhere near each other so it would be somewhat farfetched if group A were to somehow encounter group B unless over the course of many, many, many, many seasons somehow it made sense. In short, he isn’t ruling it out in the event that many seasons from now the opportunity comes up, but currently such a thing would be impossible storywise — like a lot of fans figured. 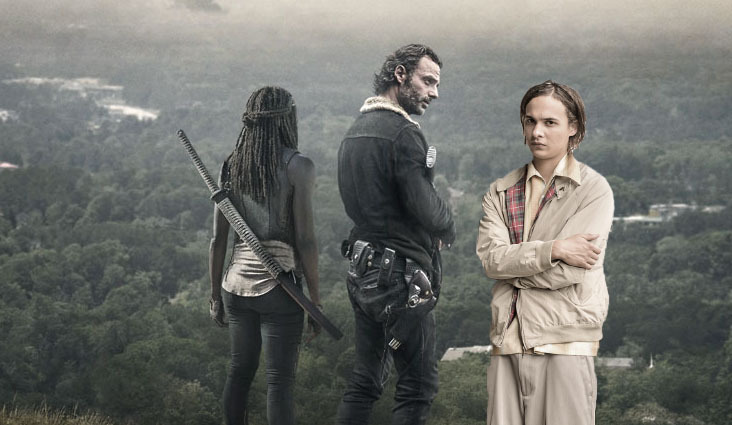 It might not be quite as much a stretch, however, for a character that left The Walking Dead a long time ago (without dying) to wander into Fear The Walking Dead. Not as marketable, though.